Cooper Grace Ward Lawyers commercial partner Fletch Heinemann tells us about the strangest case he’s ever worked on, and the struggle to stop his child from eating dog food. I love difficult problems, and tax law gives me that in spades. I have gotten older and more philosophical and now also realise it’s important to have a check against revenue-hungry revenue authorities. How long have you worked at Cooper Grace Ward for and what brought you to that position? I have been with CGW just under five years. It’s a great firm with high quality clients and a people-oriented culture. Brisbane is home for me, and I came to CGW after working in tax in London, Shanghai and then Sydney. The ATO wanted to keep taxing a client who had moved with his family to Saudi Arabia. The client was a Polish national who had worked on a five-year contract in Australia in his 50s, paid his taxes while he was here, and then moved to a new position and life in Saudi Arabia. He never came back to Australia, but the ATO was keen to keeping taxing him while he was living and working there. That was pretty strange. Dead or alive… tough question. Firstly, former Australian cricket captain Ricky Ponting, best batsman of the modern era. I love history, so assuming interpreters were on hand, Augustus Caesar, who would have had a birds’ eye view of Rome’s glory days, and Qin Shi Huang, who unified China and turned little walls into the Great Wall. We would need to check the dress code and possibly trade-in a toga, sandals and emperor’s gown for something more appropriate. You’re based in Brisbane – where’s the best place to go for a drink and/or dinner after work? In town, it’s Tank, in the laneway between 400 George and Santos House. On the north side, the best restaurant is wood-fired pizzeria Il Forno in Sandgate. Don’t miss the dessert pizza. Keep your eye on the ball. Dad told me this when I was about four years old, playing cricket in the backyard. But it’s not just for sport – it works on so many levels. Ensuring the child doesn’t eat the dog’s food and the dog doesn’t eat the child’s food. Otherwise, running, swimming and playing for touch football for the CGW team ‘Wardy’s Wonderkids’ (Grand Finalists in 2014). 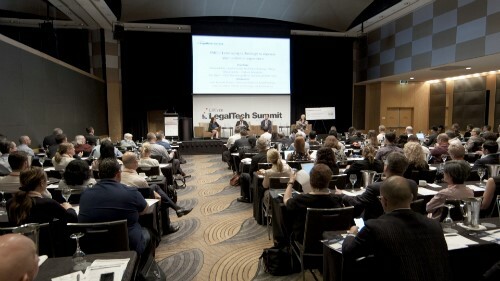 What do you think will be single biggest issue facing the legal space in Australia in 2014? The law is constantly evolving and its technicalities encourage specialisation. But there is an expectation that lawyers can identify broader issues for clients, even when the issue is outside the lawyer’s expertise. Getting that balance right between breadth and depth of knowledge is tough but very important. If you had Tony Abbott’s job for one day, what would you do? Properly fix the tax base! Australia can enjoy a high quality future for decades to come, but not with the current tax base. Income taxes and transaction taxes need to come down (or be removed) to stimulate economic activity, and consumption taxes must increase to provide a sustainable tax base for the digital age. Income tax was introduced to fund the Napoleonic wars in industrial England. Things have moved a bit since then. Tax law can be complicated, so helping clients pay the correct amount of tax, especially when they have been assessed for much more, is very rewarding. We have a great team here, and so I get a lot of enjoyment out of working with others towards a common goal.